Home invasions, burglaries, robberies – whatever tag you wish to give them – they all are an invasion of your privacy, not to mention breaking into your home which could not only result in the loss of your possessions, but, quite possibly the loss of your life as well. 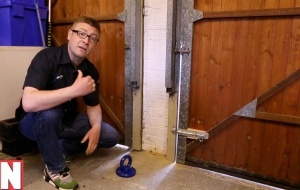 There was a video a few years ago that demonstrated the tricks of the trade by one burglar who attempted to infiltrate a home through the garage – it took him a total of six seconds! The garage door is the largest moving part of your home, so, if you and your loved ones use the garage door as the main entry access into the house, it is important to be aware of how to keep it secure. High-tech devices have made it possible to view intruders at and around your home through your Smartphone – you could be hundreds of miles away and witness someone creeping around your bushes, or lurking in your backyard. You might think you have taken the proper precautions to prevent a home invasion at your house. Perhaps you’ve installed steel entry doors or block glass windows for the basement. Or, you might have security sensor lights all around your property. But, perhaps you never thought of the garage door being used to illegally gain entry to your home. More and more people use the garage as a means of gaining access to the home, especially in a two-car garage, where more than one of the home’s occupants may be entering the home via a garage door. In the case of detached garages, thieves have two bites at the apple – they can gain access to anything in the garage simply by picking the lock to the garage entry door. Or, they can tamper with the garage mechanism as mentioned above. The garage is a good target if it is located behind the house, or the yard is not well lit up. But, at least, in entering the garage for untoward purposes, they do not have a direct path to the inside of your home. Of course, the most obvious of all ways to prevent thieves from entering the garage, and, if applicable, having total access to your entire home is locking the door(s). Be sure to check the integrity of all aspects of the garage door and lock. 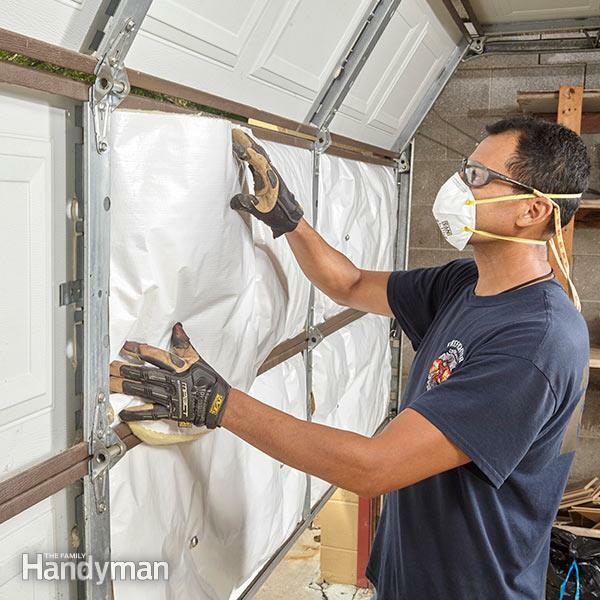 Regular maintenance will keep the garage door secure. Some people do lock the door from the garage to their house, but many of those doors are not built solidly, or even have a deadbolt lock. While you may think a locked residential garage door may give a thief cause to pause, you must remember that they are “professionals” at what they do. If the garage door has something wrong with its rollers, springs or other parts of the door, the thief will spring into action upon discovering this flaw and, it may give the criminal all the incentive they need to take advantage of this security flaw. Your best bet to thwart thugs is to schedule a yearly tune-up to have a professional ensure that everything is in working order, while also having a safety inspection conducted to check on any possible vulnerabilities, so why not think about a consultation with a garage door repair specialist near you. This is a simple, but effective, means of thwarting thugs from gaining access to your home through the garage. Don’t invite thieves to loot you by leaving an unlocked car in the driveway, because, if the remote control device gets stolen, the thief will simply use your own garage door opener to get into your house quickly. You might as well put the coffee pot on so he can make himself at home. Also, you should ensure the garage door remote opener is current with the necessary security features. Replace the remote control if it is older than 1993, because since then, there have been many improvements. More and more homeowners are controlling their garage doors via a Smartphone, which is good if you can’t remember if you locked the door once you get to your destination. A Smartphone permits you to logon to check and even turn on the garage lights if necessary. If a row of decorative windows is one of your garage’s features, you might want to cover them up. Sure, it won’t look as nice but using a security screen or shutters prevents thieves from peering inside to see what they can rip off, or, worse yet, viewing exactly where the access door to the inside of the home is. It also keeps the garage cooler. Not everyone has a durable garage door – some may be cheaply constructed. A door constructed from wood or steel is a good deterrent for thieves – in fact, the sturdier the better. As a garage door gets older, it gets looser and becomes easier to jimmy open, so you should replace your door every ten to twelve years to prevent burglars from breaking in via the door.